Happy 4th to you! Generally, the holiday includes sparklers, fireworks viewing, and a cookout with family and friends. In our house it also means sangria: The perfect summer drink. Despite being Spanish in origin, it seems to pair well with all kinds of cookout foods and is my favorite ‘go to’ beverage for 4th of July celebrations. Also, it’s red. That should count for something on the most renowned of the “red, white, and blue” holidays! Here I’m sharing my current favorite sangria recipe. Food and it’s presentation has been central to our family gatherings for as long as I can remember. That may be why I love to host meals and parties…I equate food-centric gatherings with feelings of love, comfort, and celebration. 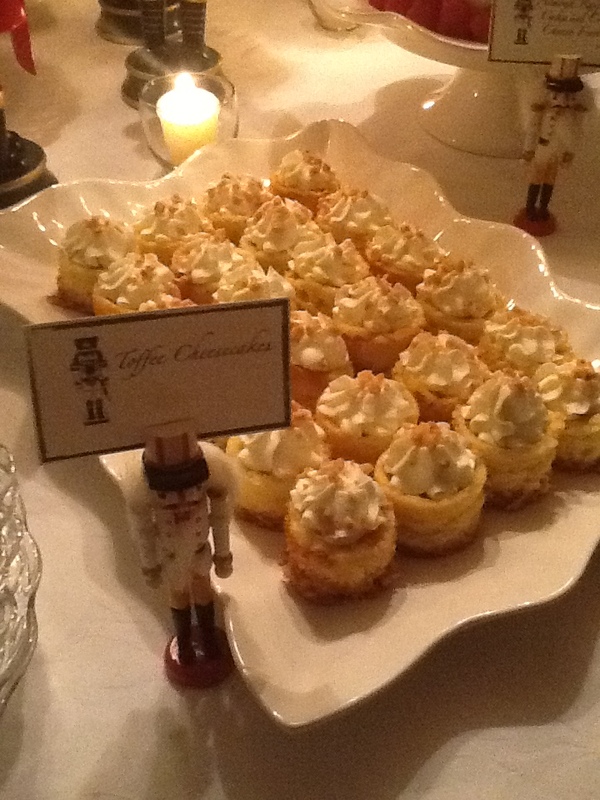 AND it’s almost Thanksgiving…the beginning of the holiday entertaining season! 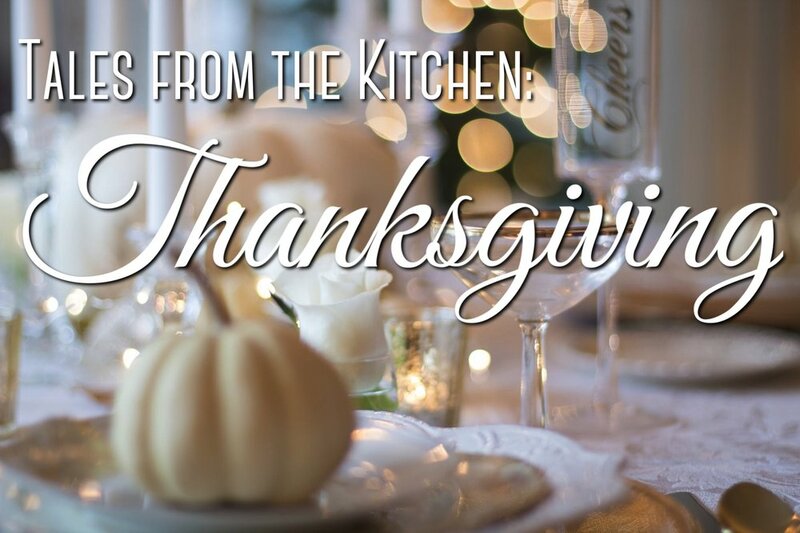 We have SO much to be thankful for…family, friends, and the blessing of a warm, safe, and welcoming home. Is a chaise sofa the best solution? Whenever we start a project, one of the first things we need to determine is how the room will be used, how many people will be using it at a time, and what are the possible needs we should consider when selecting and arranging the pieces for the room. 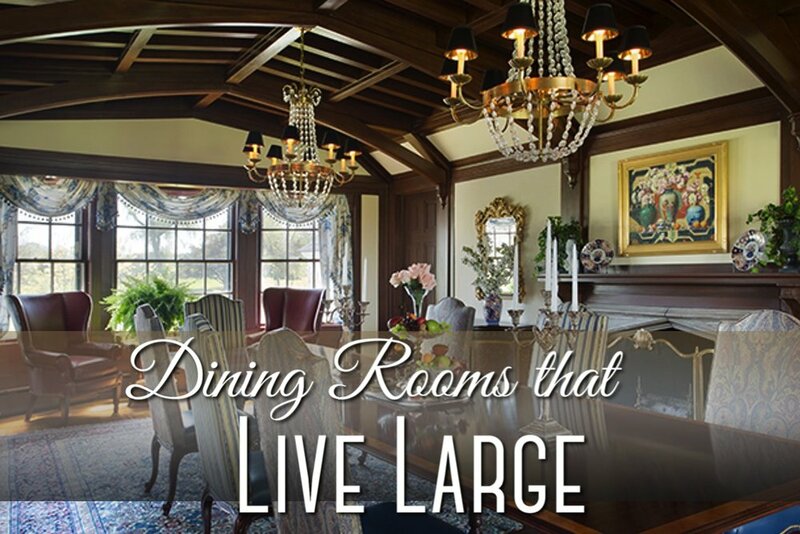 And with the multipurpose spaces like the “great rooms” that are breeding in new construction and rehabs like rabbits, many rooms need to have the flexibility to serve a lot of functions. After all, if a room doesn’t function comfortably and well, what good is it? We WANT you to love your room and that means it needs to work perfectly as well as look good doing it! When life hands you lemons…Make lemonade! Or so the saying goes. Elegant entertaining almost always calls for some sort of centerpiece, but it is not necessary, or even desirable in many cases, to order a generic centerpiece from the florist. Serving buffet style is a great way to entertain a lot of people at once or at an open house style party where people come and go at various times. 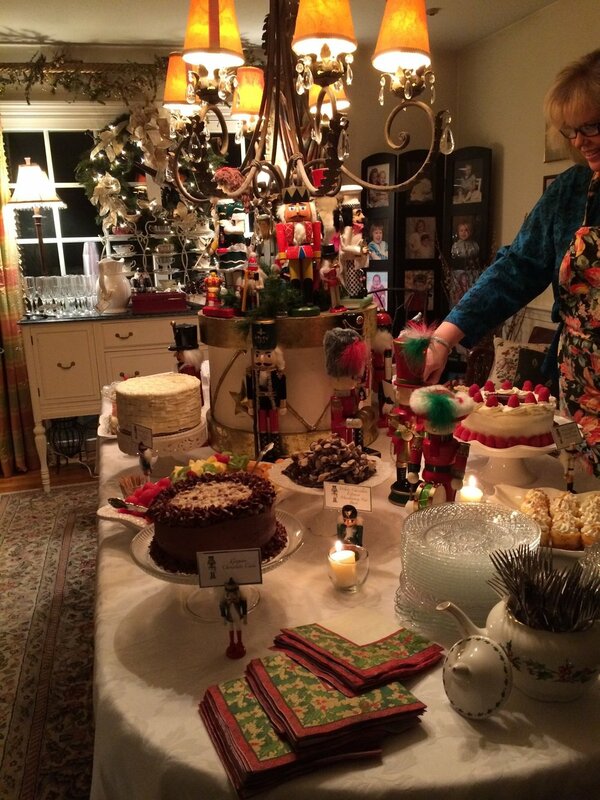 Today, we are writing about the art of setting a spectacular buffet table. This is Part 4 in a series on Elegant Entertaining Made Easy. Have I mentioned I adore dishes? Porcelain, Stoneware, Transferware, Pressed Glass, Depression Glass, Bone China…floral, embossed, fluted, scalloped, pierced…I REALLY cannot resist those last two categories…but I rationalize my addiction by entertaining. Quite a lot. Today, we are writing about how to mix and match your dishes for a uniquely beautiful table that evokes the colors and mood of the occasion. 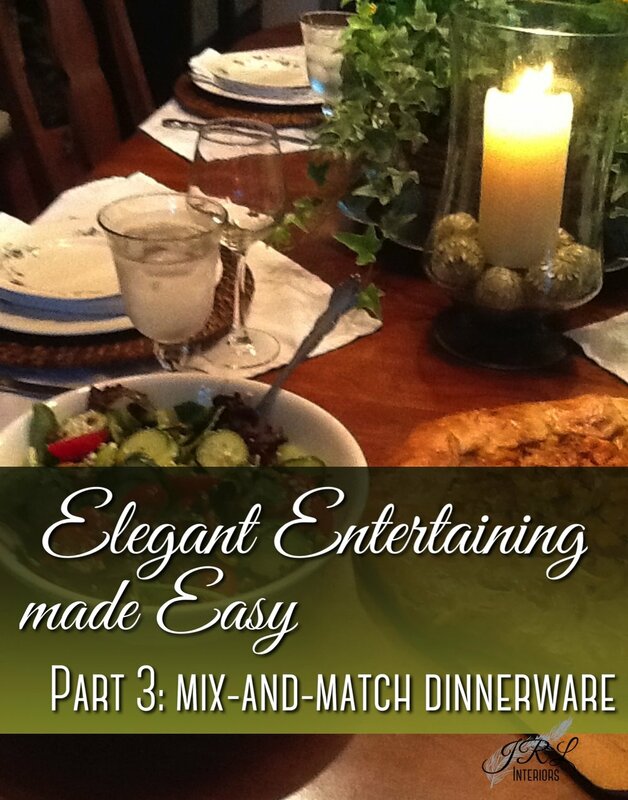 This is Part 3 in a series on Elegant Entertaining Made Easy. 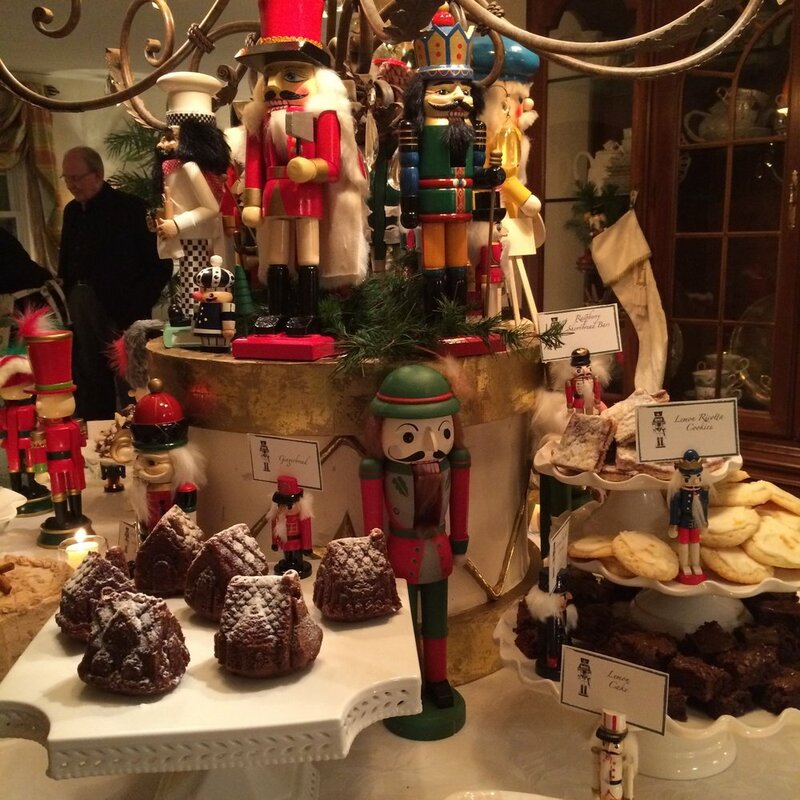 We held our annual 'Nutcracker Sweets' Dessert Party this weekend to celebrate the end of the holiday season in style (and with a sugar coma!). 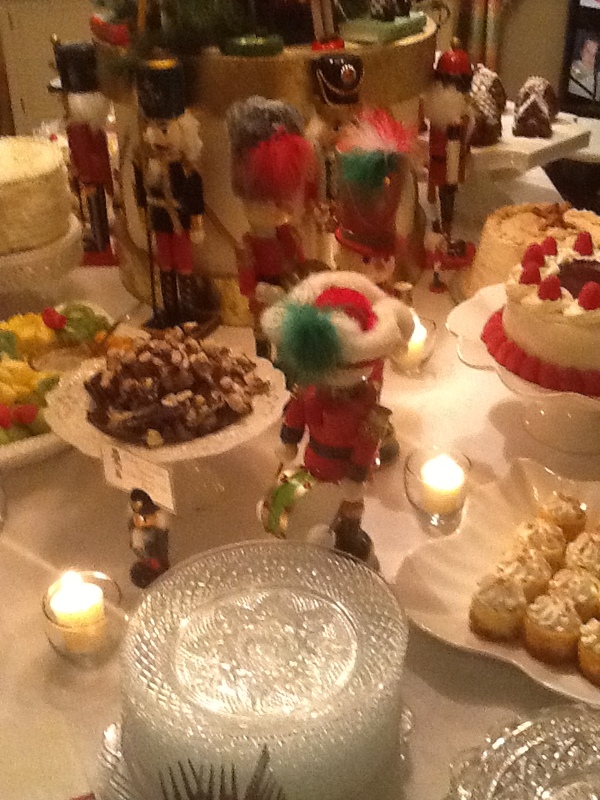 Twenty-three nutcrackers collected over the years and arranged on and around a gold and cream paper mâché drum stood watch over a table laden ... and I mean that in the best possible way ... with 15 desserts representing at least 12 pounds of butter, 16 pounds of sugar, 8 pounds of confectioners sugar and untold amounts of cream, chocolate, and eggs ... a cardiologists nightmare, but what a way to go! Above is one tower of sweets including the BEST raspberry crumble bars (recipe from the FLOUR bakery cookbook), incredibly addictive Lemon Ricotta cookies which, miraculously, I was able to hide from my son long enough to get on the table, and these sinfully rich Sea Salt Caramel Brownies. 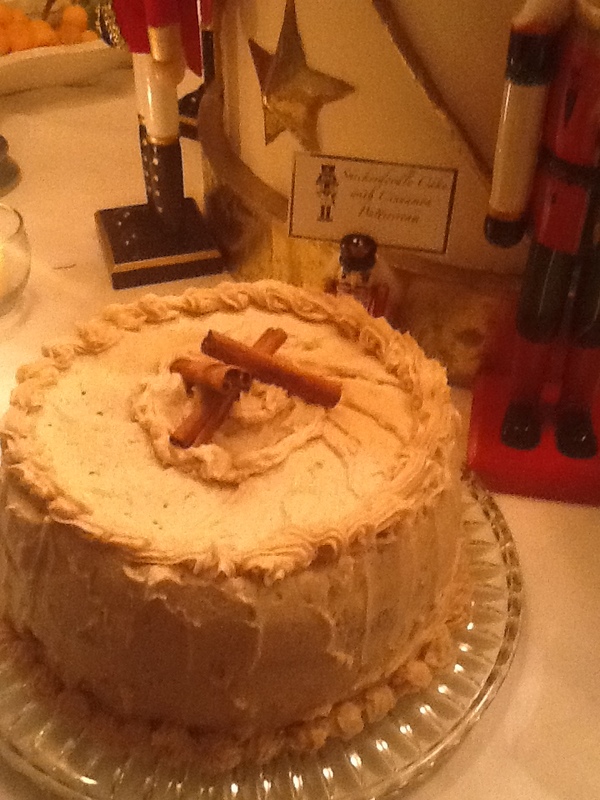 A new offering this year inspired by one of my favorite cookie flavors - Snickerdoodle Cake with Cinnamon Buttercream frosting. While I have never met a buttercream frosting I didn't like (I am personally lobbying for frosting to be included as one of the four major food groups), this one containing vanilla and cinnamon alongside 4 1/2 sticks of butter and 9 cups of sugar (?!) is incredible! 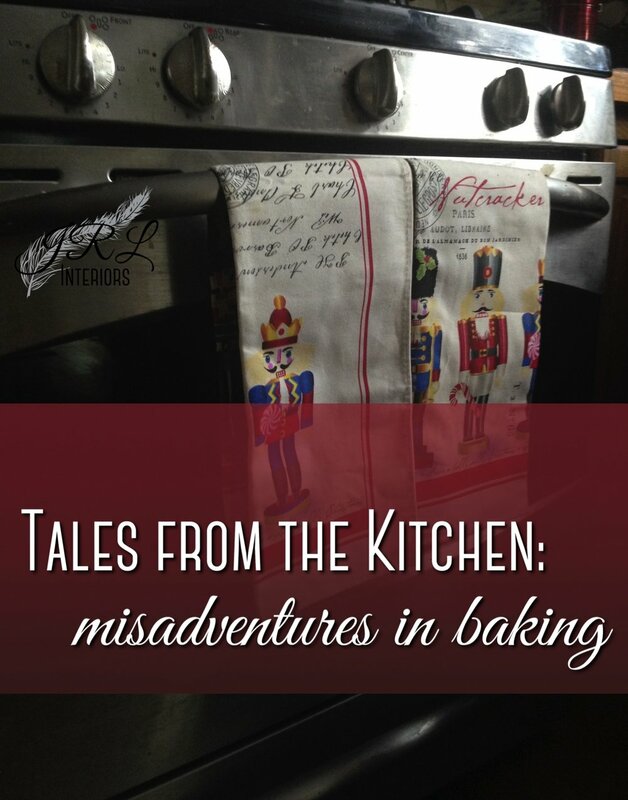 I think this may make a return visit in the form of mini cupcakes next year...preserving the spectacular flavors in a less daunting package! Adorable AND delicious gingerbread containing pieces of crystallized ginger and baked in mini gingerbread house molds. A sprinkling of non-melting powdered sugar (available from King Arthur Baking Co.) gives them a snow dusted look that doesn't absorb and disappear into the moist cakes as the evening wears on. For the casual chocoholic, we always offer our favorite chocolate mousse recipe in some manner - this year it appeared both in demitasse cups and in these Belgian chocolate shells topped with fresh whipped cream and chocolate filigree decorations ... the shells and filigree are available seasonally online through Gourmet Finales Dessert Emporium. Banana Cake with Cream Cheese frosting is an absolute must. My kids have requested this cake for birthdays for as long as I can remember and I have baked it many, many times over the years as cake, and as mini-cupcakes for a variety of occasions! 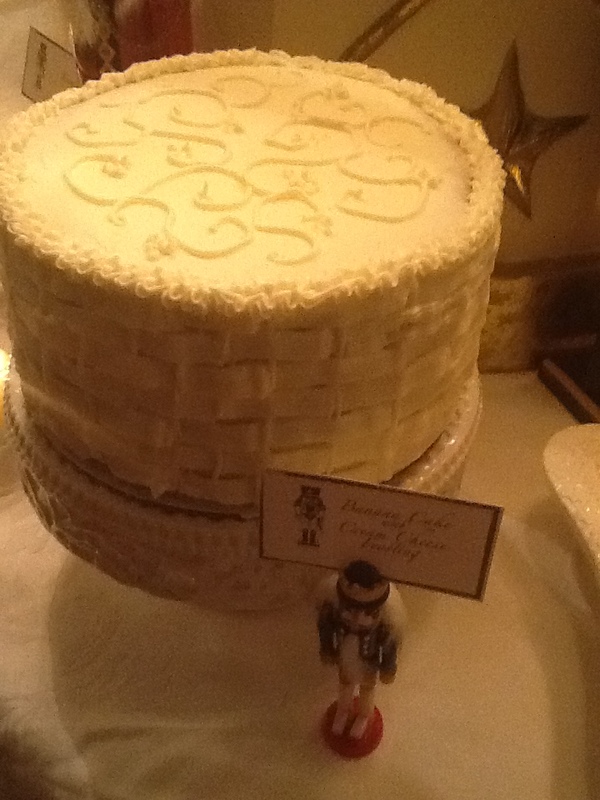 The basketweave frosting application only appears once a year for this party, though! Beverages arranged on the sideboard included Asti Spumanti, Sparkling Cider, and Ice Water...along with Tea and Decaf Coffee. My teacup collection works out beautifully for parties as everyone has a unique cup so there is no confusion as to who's beverage is who's. 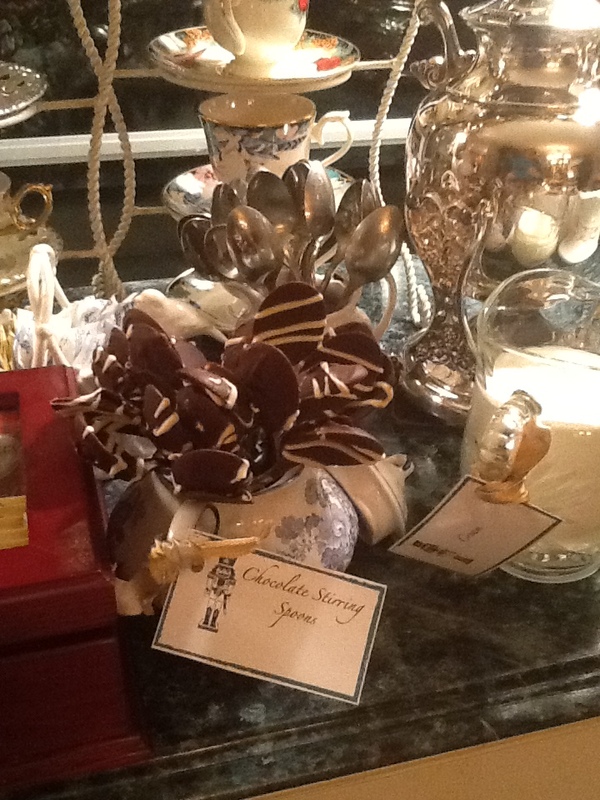 These 5 tier teacup stands are both pretty and practical both in the china cabinet and in use! For a respite from the sugar, we always offer a cheese and savory snack table. This included hot artichoke dip, mozzarella/tomato/basil Caprese skewers with a drizzle of balsamic creme, and a wonderful savory roasted red pepper cheesecake topped with apricot jam glaze and served with pita chips. We also discovered the wonders of Great Hill Blue Cheese (a hunk of locally made creamy deliciousness) served with a drizzle of honey from the hives of a friend in a neighboring town on table water crackers ...just yuuumm! The newest addition to the kitchen appliance line-up ... Xmas this year upgraded me from my 24 year old 4.5 qt Kitchen Aid to this 7qt pro model affectionately nicknamed "the beast"; suffice it to say it got a great workout in it's first week home! Half sheet trays of raspberry bars cooling ... cutting them with a pizza wheel turned out to be a stroke of genius ... the cook's family gets to taste test the edges...just to make sure, you know, that they are good! Half sheets of lemon ricotta cookies all frosted and waiting to be packed in tins. There were quite a few that didn't make it to said tins as they are addictive and ... the cooks family ...'nuf said. I posted this on facebook with the caption "I think I need a bigger fridge". There were a number of offers from friends who claimed to have plenty of fridge space ... hmmmm. Final touches ... lighting the votive candles just before the crowd descends! Wishing you a Beautiful and Bountiful 2016! My friend, Nancy, discovered this cocktail at a pub while vacationing in Meredith, NH ... with her rave reviews and the information that it contained American Harvest Organic Vodka and organic lemonade, we tracked down the recipe on the vodka website. They call it Harvest Basil Lemonade ... we call it Tipsy Lemonade ... you can call it whatever you want - but it is smooth, refreshing, and delicious on a hot summer evening! Muddle basil and lemons in a tall glass. Add ice and American Harvest and top with lemonade. Garnish with lemon wheels and basil leaves. NOTE: Inspired by a ginger lemonade we tasted at the new Boston Public Market, we also tried a non-alcoholic version of this by mixing in ginger beer in place of the vodka with stellar results!